Aven was born in Ireland, married from the workhouse, widowed in Norway, and has now arrived in Blackbird Mountain, Virginia, to the only family she has left—even though it’s a distant link. She to find Aunt Dorothe is dead and “the boys”—Dorothea’s beloved nephews—are full grown men. Jorgan, the oldest, is betrothed. Thor, the middle brother, is Deaf. And Haakon, the youngest is full of fun. These are the three Sons of Blackbird Mountain. The brothers invite Aven to stay—although she doesn’t have many options. She wonders if she’s made the right decision after the family receives a late-night visit from the neighbours. It appears the Klan don’t like Thor’s habit of hiring Negroes, even if they are the hardest workers. Despite the neighbours, Aven is becoming attached to the family, and especially to Thor. One of the most interesting aspects of Sons of Blackbird Mountain was the character of Thor. Thor has been Deaf since birth. He reads lips, and communicates through American Sign Language (ASL), and through writing notes. It’s fascinating to read this insight into Deaf life and culture in a time gone by. Thor is interesting for another reason: he’s in charge of the family cidery, brewing beverages that keep the family in fine style. That’s an issue for Aven, because her late husband was an alcoholic, and it killed him. She’s initially afraid of Thor, but soon learns to trust him. But not completely. Not while he’s dependent on alcohol. So Sons of Blackbird Mountain has plenty of conflict, and plenty of issues for the characters to deal with. It’s a gripping read with fascinating and original characters, and plenty of emotion. The writing is strong, although Bischof does have this weird habit of using odd sentence fragments—something I love in contemporary fiction, but which feels out of place in a historical novel. But that’s a minor niggle in an otherwise strong novel. Overall, I recommend Sons of Blackbird Mountain for historical fiction lovers, especially those who like reading about small mountain communities. Joanne Bischof is an ACFW Carol Award and ECPA Christy Award-winning author. She writes deeply layered fiction that tugs at the heartstrings. 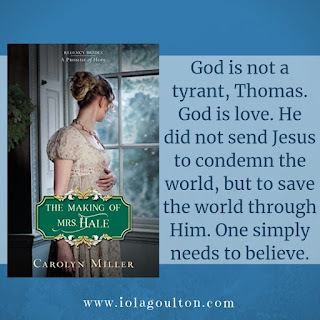 She was honored to receive the San Diego Christian Writers Guild Novel of the Year Award in 2014 and in 2015 was named Author of the Year by the Mount Hermon conference. Joanne’s 2016 novel, The Lady and the Lionheart, received an extraordinary 5 Star TOP PICK! from RT Book Reviews, among other critical acclaim. She lives in the mountains of Southern California with her three children. It’s Throwback Thursday, and today I’m featuring The Heart Between Us by Lindsay Harrel, one of my favourite books of 2018. Her next book releases next week: Secrets of Paper and Ink. I’m looking forward to reading it! Click here to find The Heart Between Us and other great Christian fiction in my Amazon shop! It’s Throwback Thursday! 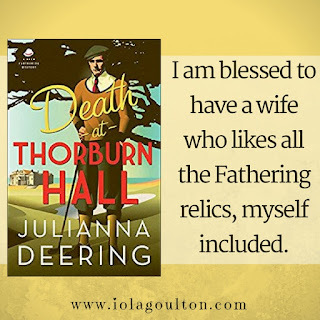 Today I’m resharing my review of Death at Thornburn Hall, which originally appeared at International Christian Fiction Writers. Drew and Madeline Fathering are back. They are visiting Drew’s distant relatives, Lord and Lady Rainsby of Thornburn Hall, and planning to watch the Open at Muirfield, Edinburgh. They are not the only guests—there is also a married couple, and a Russian artiste seeking his muse. Death at Thornburn Hall is the sixth book in the Drew Fathering series. Each book is a standalone murder mystery, which means you don’t have to read the earlier books first (although there are some plot threads that trail though the series). It follows the pattern established in the first book, Rules of Murder. Drew arrives somewhere (Thornburn Hall, in this instance). There is a death (sometimes there is more than one). The local police force don’t appreciate Drew’s efforts. Drew solves the crime with help from Nick and Madeline. There is plenty of witty banter between Drew, a member of the British aristocracy, Madeline, his American wife, and Nick Dennison, Drew’s best friend and the son of the Fathering Hall butler (a friendship that continues to raise eyebrows). Drew Fathering attracts murder. Murder attracts risk and danger. The writing is excellent, as usual. There is a cast of characters ranging from mysterious to suspicious. Some things are not what they seem, and there are plenty of genuine clues scattered among the red herrings. The ending is satisfying on several levels (well, satisfying to the core characters. The murderer, as usual, is less than satisfied with being caught by Drew). I love this series because it is so British. It reminds me of driving through the English countryside, of camping in Scotland under the shadow of Ben Nevis, of taking the train to Edinburgh and disembarking at Waverley Station. The Drew Fathering mysteries are an echo of England in days gone by. They remind me of childhood favourites such as The Famous Five, and Swallows and Amazons, and of Agatha Christie, Ngaio Marsh, Georgette Heyer, and other 1930’s murder mystery writers. But it’s also an echo of the England I lived in … because I’ve visited many of the places Drew and Madeline visit—Winchester, Beaulieu, Edinburgh. The beauty of England is that it is old, and a modern visitor can see many of the same sights as Drew and Madeline see. Julianna Deering (also writing as DeAnna Julie Dodson) has always been an avid reader and a lover of storytelling, whether on the page, the screen or the stage. This, along with her keen interest in history and her Christian faith, shows in her tales of love, forgiveness, and triumph over adversity. A fifth-generation Texan, she makes her home north of Dallas with three spoiled cats and, when not writing, spends her free time quilting, cross stitching and watching NHL hockey. Her series of Drew Farthering mysteries set in 1930s England debuted from Bethany House with Rules of Murder (2013).